Prepared by the immigration experts at Nalbandian Law, this informational page gives you answers to some of the most frequently asked questions about important immigration issues you may be facing right now. What’s the difference between a fiancé visa and a spouse (marriage-based) visa? Read more about Fiancé Visa vs Spouse Visa page. How long will it take to bring my spouse to the United States? It depends on whether you are a U.S. citizen or a green card holder (Lawful Permanent Resident). For citizens, the processing time is approximately 6-9 months. For green card holders petitioning for their spouses, the U.S. Department of State’s Monthly Visa Bulletin keeps track of current visa processing times (F2A Category). While typically the bulletin shows forward movement, it can at times show no change or backward movement. How can I apply for asylum in the United States? Nalbandian Law handles more asylum cases than any other type of immigration case. Our expert attorneys can walk you through the entire process and provide you with the proper documentation for a winning case. * Read more about Asylum Immigration. How do you remove an ICE hold/detainer? Nalbandian Law has been successful getting ICE holds removed for our clients on a case by case basis. In the event that the hold/detainer cannot be removed, we will assess your likelihood of success in removal proceedings and your eligibility for relief. Can I apply for naturalization if I have convictions? Basically, the number of convictions is not as important as the type of convictions. Your eligibility for naturalization depends on the type of conviction, the sentence you received, the restitution amount and any prior convictions you may have. For clients in your situation, Nalbandian Law conducts in-depth research based on the most recent case law. We then provide an opinion about your likelihood of becoming a U.S. citizen as well as the likelihood of obtaining relief if you were to be placed in removal proceedings. Read more about Naturalization-Citizenship Applications. Can I travel outside of the United States if I have convictions? If you have ever committed a crime that makes you “inadmissible” or “removable,” you may have a problem if you leave the U.S. and later try to return. You could be denied admission to the U.S. and deported back to your native country. Since all crimes and misdemeanors are different, Nalbandian Law can conduct in-depth research to see if your criminal history will allow you to leave the U.S. and safely return. Read more about Criminal Deportation. What are the rules for LPR Cancellation of Removal? If you’re a Lawful Permanent Resident (LPR) in the middle of removal proceedings, we can help you avoid deportation. If you can show physical presence in the United States for seven years after you were lawfully admitted into the United States in any status and five years as a Lawful Permanent Resident, you may be eligible to keep your green card and avoid being deported. However, there are certain bars to cancellation of removal and certain rules that stop the seven-year physical presence calculation. To give you the best advice, Nalbandian Law will assess your criminal history, study the facts of your case, and realistically assess your chance of obtaining a grant of cancellation of removal. Read more about LPR Cancellation of Removal. 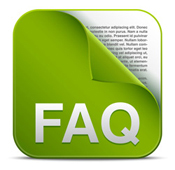 We hope that these frequently asked questions about immigration have been helpful to you. For more information, please call Nalbandian Law today, (818) 244-0310, or contact us online for a personal consultation with one of our expert immigration attorneys. We’ll review your situation honestly and do our best to move you forward on your path to naturalization.